If you’re struggling with how to go about facing the reality of divorce, and you do not want to go through a long, court battle that will most likely settle in a way that isn’t advantageous to either party, then finding a mediator is a good idea. Divorce mediation has become the preferred alternative to litigation. At Johnson Mediation, we offer our mediation services to couples looking for a more economical and less divisive option for dissolving a marriage. Located in Chanhassen, we proudly serve Eden Prairie, Minnetonka and Shorewood with mediation and resolution services. When it comes to getting a divorce, we are here to focus on you, your family and your future by assisting you throughout the entire divorce process. With years of experience we understand that each couple is different and has unique challenges, and goes through the process in their own manner. Whether you and your soon to be ex spouse agree on a lot of issues or not, we can work through the challenges to find solutions that work for both parties. 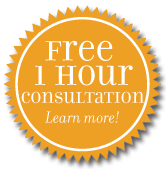 We are here to help you avoid a long and expensive divorce. When you head to litigation rather than trying to sort manners out for yourself, this process can result in an extremely expensive process. When it comes to resolution and mediation services, we are here to make sure the process does not get expensive as it would with a divorce lawyer. Most judges encourage couples to seek mediation because the couples can work together to figure out what works best rather than to work against each other and cause bigger conflict. At Johnson Mediation, we think of ourselves as divorce specialists. It is our job to provide you with the smoothest transition by being efficient and addressing all of the necessary details surrounding your divorce. When it comes to children, finances, and separating assets, things can be quite sticky and tumultuous and that is why we are here to provide you with the guidance you need. With our experience and mediation background we feel confident that we can help you cope with these emotional difficulties during and after your divorce is final. Feel free to reach out to Jeff Johnson and his team to discuss our comprehensive divorce mediation services. As you can see, we offer a wide array of support services to divorcing couples. We’re veterans in our field and are confident that we can help you achieve a divorce that is both cost effective and amicable for all parties involved.